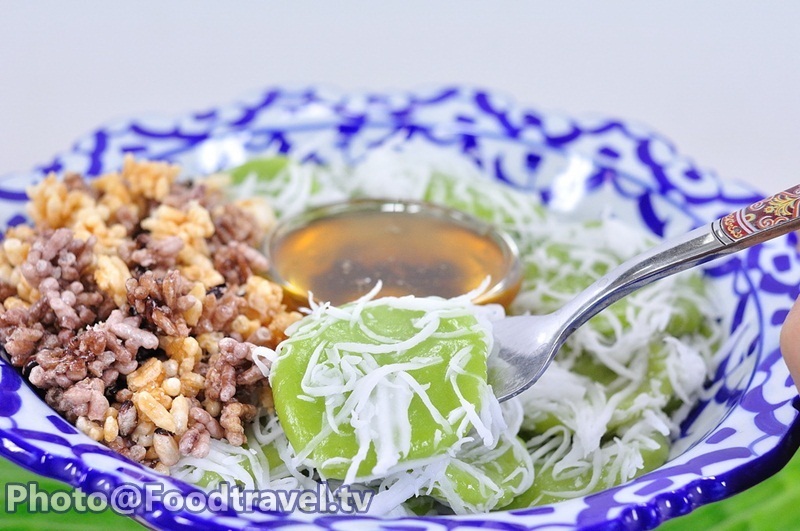 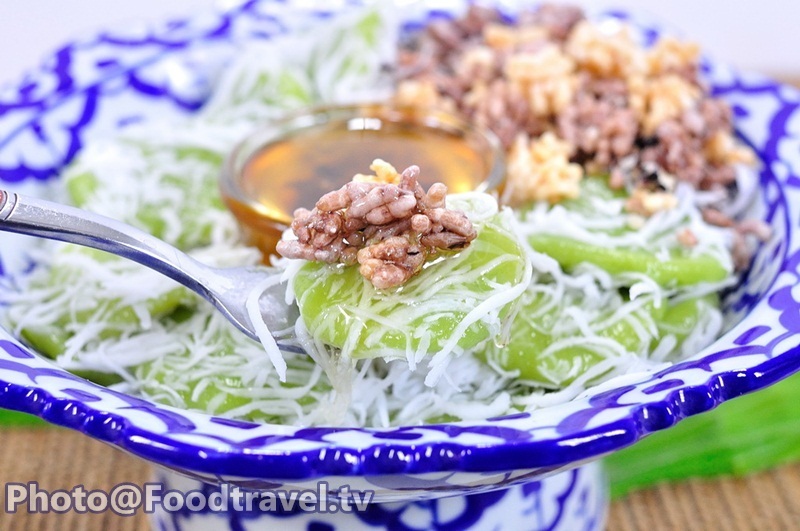 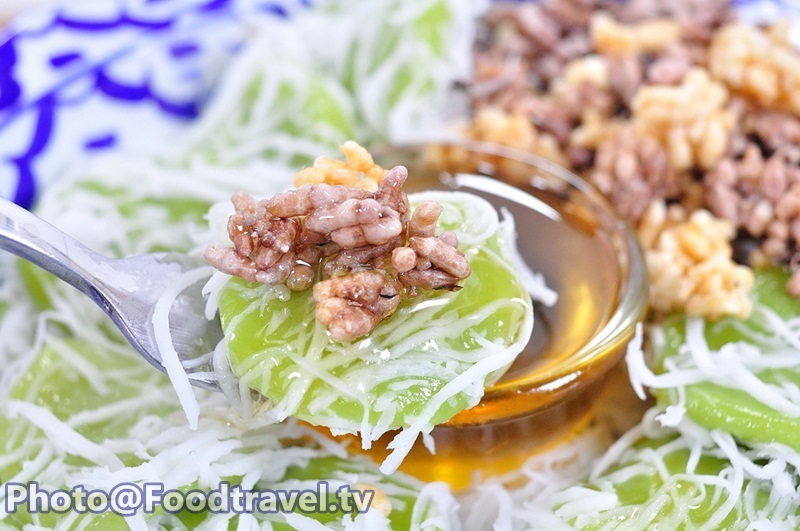 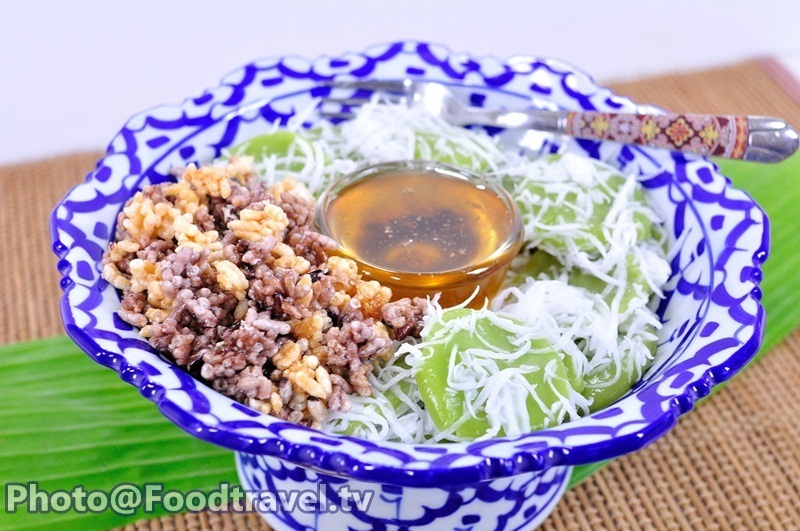 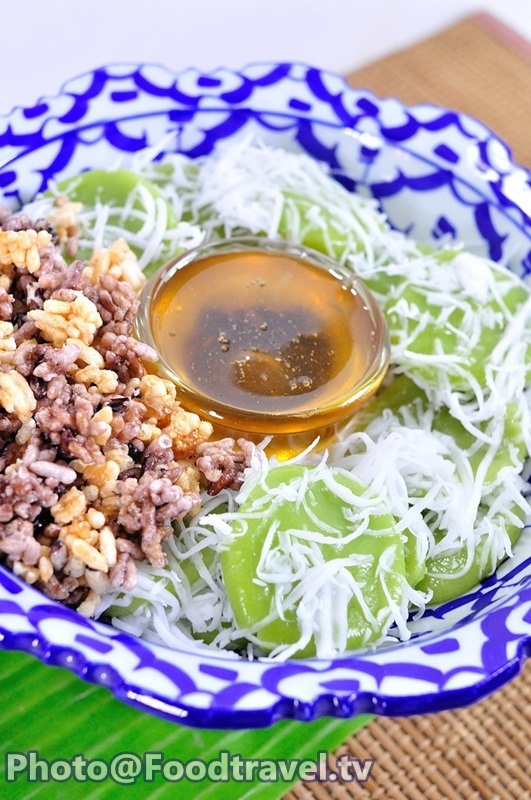 Rice Cake with Coconut Syrup and Rice Cracker - Kanom Nieaw (Thai Dessert) - Rice Cake with Coconut Syrup and Rice Cracker is another delicious Thai dessert that you can easily serve yourself at home. 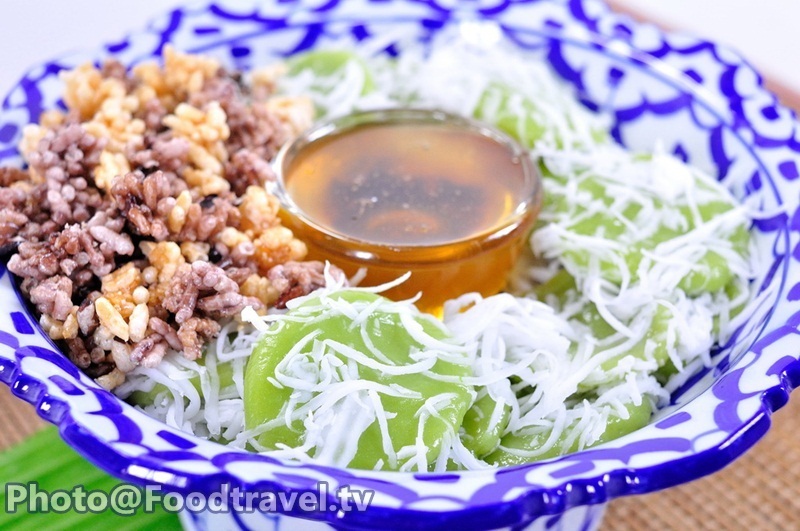 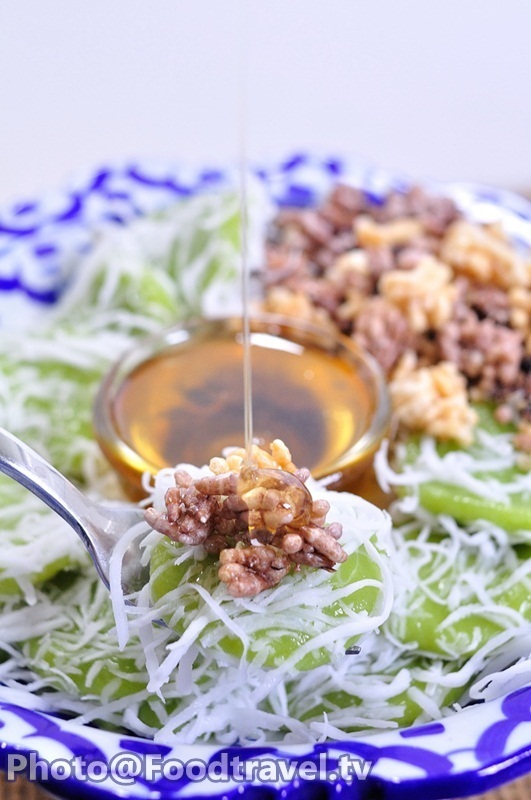 Boil dessert and then mix with shredded coconut for more colorful and fragrant of pandan juice. 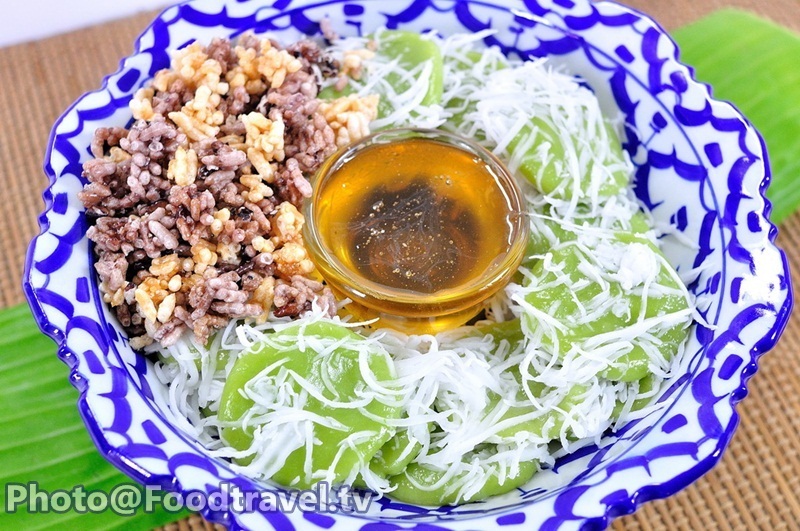 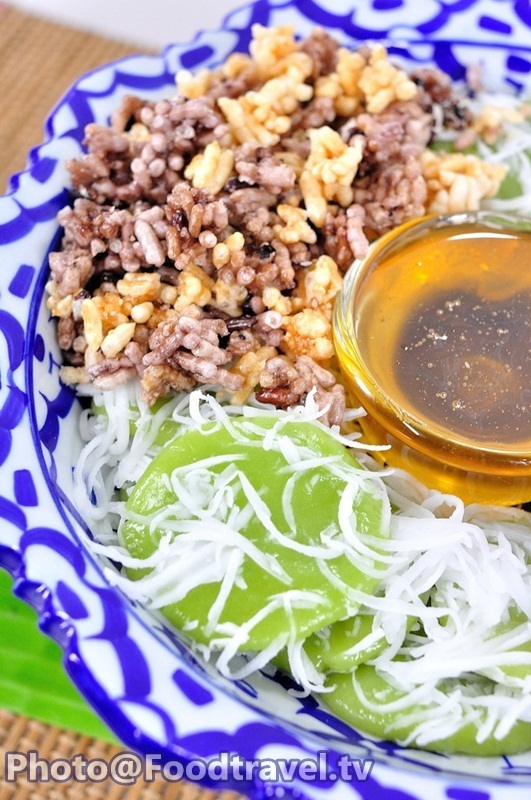 You can serve with fried puffed sticky rice. 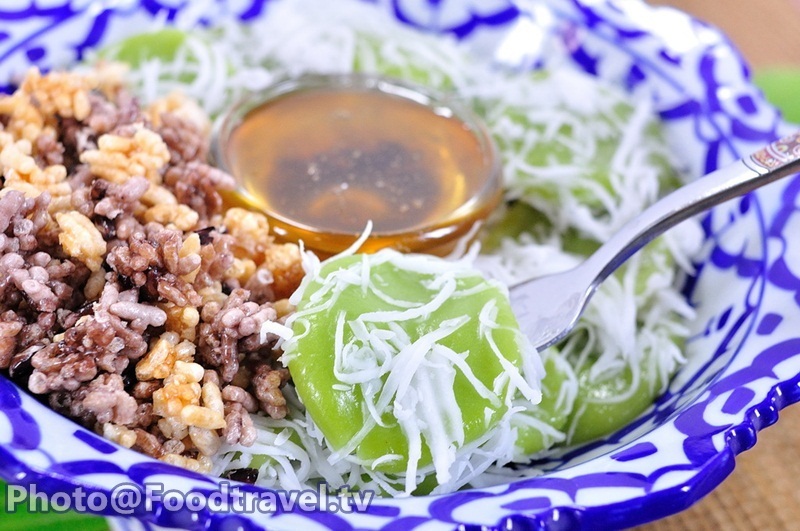 Then topped with palm sugar.